Guests came from all over the US according to a license plate survey completed by volunteers at the 2011 MidUSA Ohio Challenge hot air balloon event held last weekend in Smith Park, downtown Middletown, Ohio. Vehicles were from 29 states – Alaska to Florida, New Hampshire to California. 5% of the guests came from states other than Ohio. Parking lots were over-flowing and a short traffic back-up occurred at the entrance to Middletown Regional Airport on Saturday evening. Data compiled from personal surveys completed on-site and the license plate survey in parking lots showed that 41% of the guests were from Butler County, 10% from Warren County, 10% from Montgomery, 6% from Hamilton County. Those traveling more than one hour to get to the 9th annual event accounted for 33% of the crowd up from 17% in 2010. The hometowns of the Ohio Challenge fans shifted this year. More people came from Ohio – 95% this year vs 88% last year. Those getting their information about the event from newspapers was up from 16% to 29% this year. Websites, Facebook and other social media account for 21% of the information. And, many people make it a family tradition to come see the balloons each year. Dayton and Cincinnati radio and TV stations helped spread the word. It is difficult to provide an exact attendance figure since admission is by the car-load and children are admitted free. While tens of thousands of people enjoy the festival on-site, there are still many who view from the Carmody Boulevard area across the airport and those who specifically schedule private parties and family or class reunions during balloon weekend to watch the balloons floating above. Organizers estimate the economic impact to the area between $2 and $3 million which would include not only the cost of producing the event, but on-site vendor sales, and retail, gas station, hotel and restaurant sales in the area. Taxes paid on supplies and re-supply costs add to the impact. 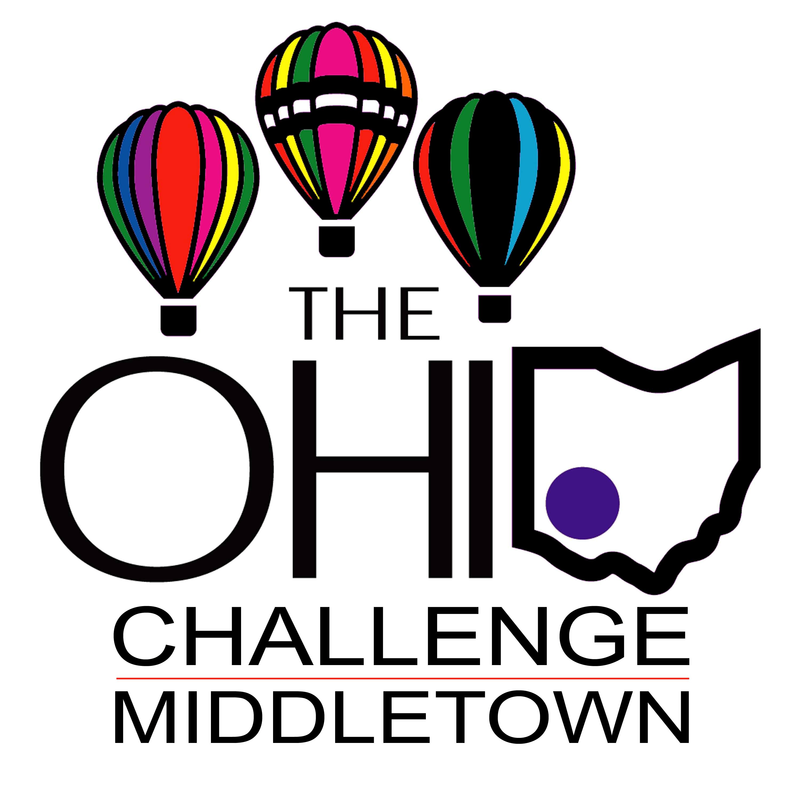 Not only does the Ohio Challenge meet its goal of presenting Middletown in a positive light while breaking even on finances each year, it also allows many non-profit groups to add to their own treasuries by “working for” the event as trash collectors, ticket sellers and other duties or by providing a food/beverage booth. This year there were 12 such groups. The investments by 49 event sponsors and 4 corporate balloons are very important to the event and help to keep the cost of admission low enough for most families to enjoy the event each year. For more information about next year’s 10th MidUSA Ohio Challenge event on July 20-21-22, 2012, visit the website at www.midusaohiochallenge.com.